The biggest lesson I’ve learned watching my kid play on sports teams over the years is that talent has a physical component and a mental component, and the mental component is far more important. Players who are physically talented can actually make a team worse if they don’t have their head in the game and they’re just doing their own thing out there. 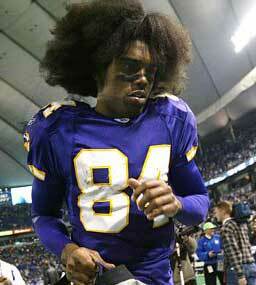 I thought of this as I was reading that the Vikings just cut Randy Moss . . . He looks like he’s used Troy Polamalu’s shampoo.